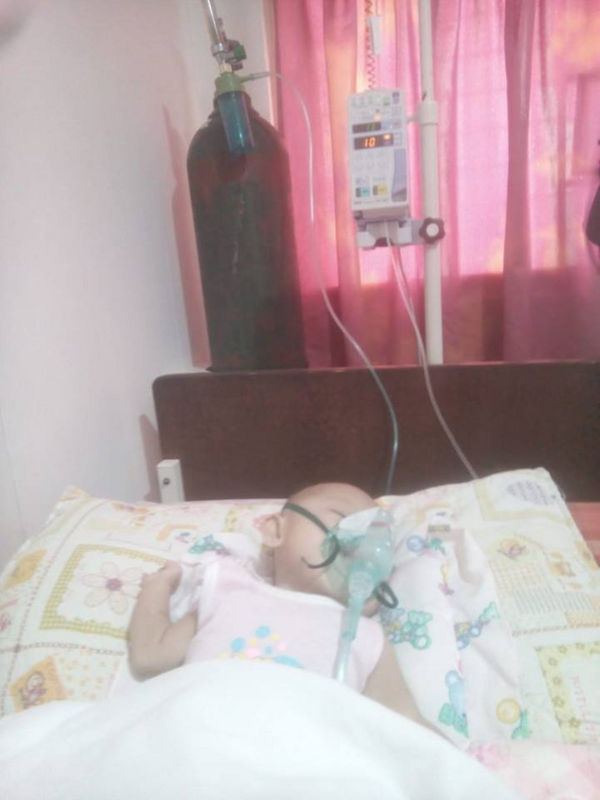 Steemit friends, we are knocking at your hearts to please extend your helping hands and prayers to let this baby live and witness the beauty of life. 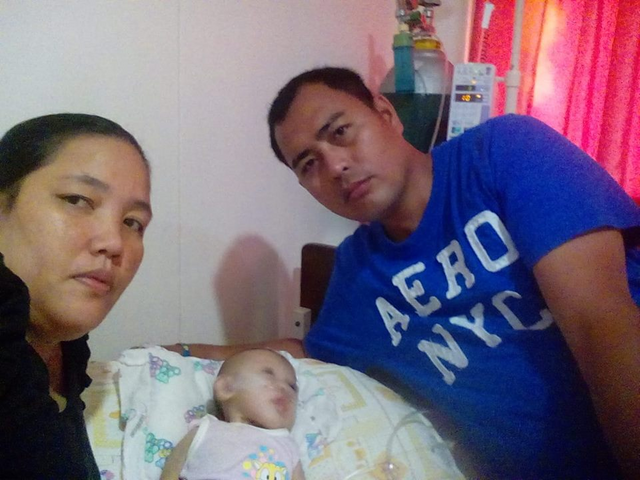 She is LAINE KHARECE CADUNGOG, six months old baby who is suffering from a blue baby syndrome - a congenital cyanotic heart diseases. She is currently at the Dr. Uy Hospital right now, one of the private hospitals here in Iligan City, Philippines. We all know that upon entering at the main entrance of every hospitals, life becomes very hard and tough. I am a concerned friend/co-worker of this child's father and I bear witnessed upon his life's burden. It breaks my heart that there's nothing I can do to help him. Life of a worker seems too tough though that some times in our life we're in the top of happiness and then falls down. Honestly, its almost 2 months already we didn't received our salary because of the agency we are under. 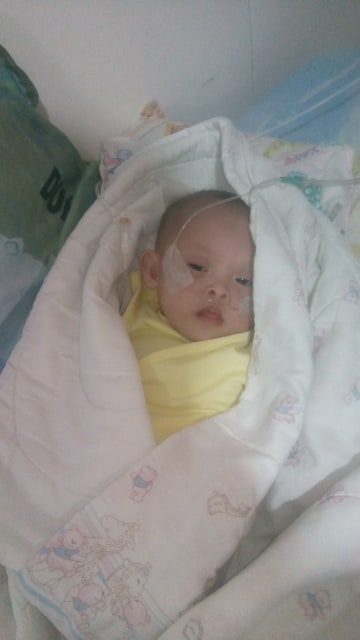 Its a long story to tell why we came out in this situation but what is important this time is that I, as a steemian, together with YOU, my steemit family could extend and stretch out your loving hands once again to make it possible for this baby to live a happy life. Blue Baby Syndrome, also known as infant methemoglobinemia, is a condition where a baby's skin turns blue. This occurs due to a decreased amount of hemoglobin in the baby's blood. Hemoglobin is a blood protein that is responsible for carrying oxygen around the body and delivering it to the different cells and tissues. When the blood is unable to carry oxygen around the body, the baby turns blue (cyanotic). She needs an oxygen in order to breath properly. 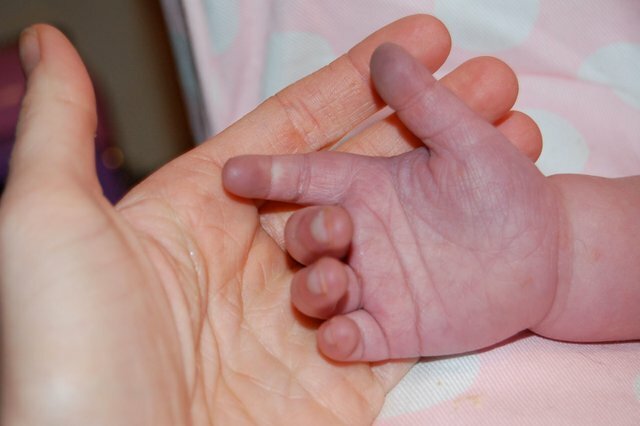 due usually to a heart malformation that prevents the baby's blood from being fully oxygenated. The bluish color reflects the deoxygenated state of the blood. (Oxygenated blood is red.) Sometimes the term "blue baby" is also applied to a child who is cyanotic due to failure by the lungs to oxygenate the blood. A lot of medications needed but they don't have enough money to buy all of these. 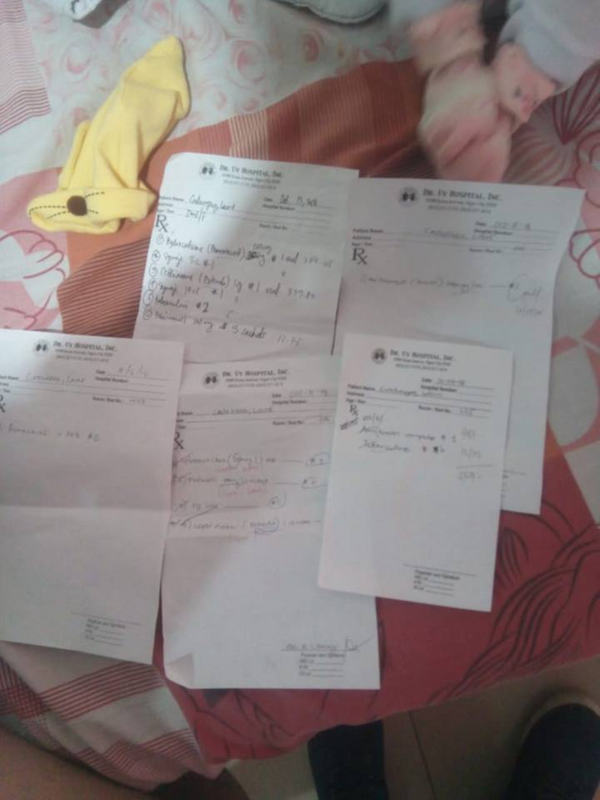 I don't know the exact amount of money [Philippines Peso] they badly needed this time since they are still in the hospital right now. But even a small amount can mean so much for Baby Laine already. 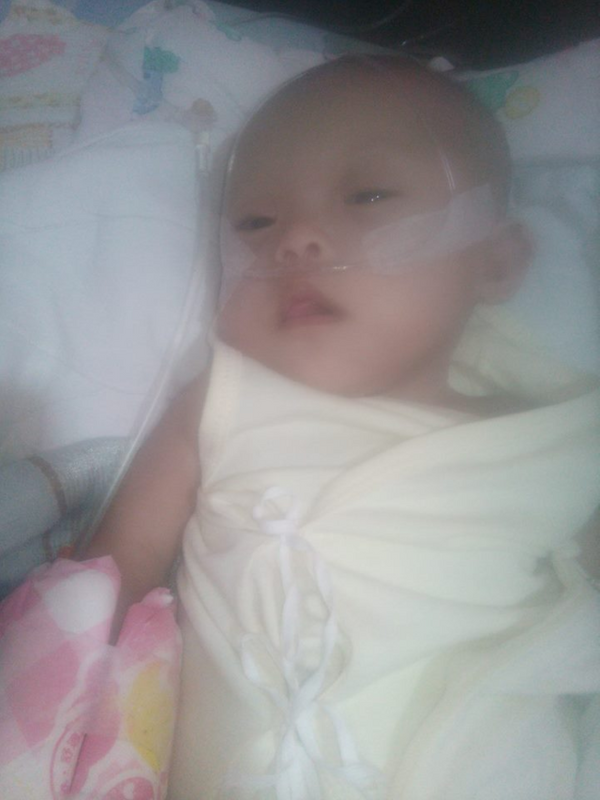 Laine Kharece Cadungog, a Blue Baby Patient. 100% of the total payout will go to her medications and any other expenses. I assure you that this will be all documented and with proof. Surely, this family will be very much grateful and thankful that once in their life, Steemit had become part of their Child's beautiful life. Thank you so much for your unending love and support! Up'd and resteemed. Hope some whales with big hearts will notice it and share some love. I collected 100+ STEEM for the baby. Contact me urgently! Well done mate, that's such a generous thing you've done. this is the post of his father to the fb. What is your e-mail? Or do you have a Facebook? BRYAN WEWE TOMAQUIN just search that name in facebook sir..
tomaquin.b@yahoo.com that's his email address. you can contact Bryan through that email. I was a blue baby too! Upped and resteemed. Hi, i wish baby quick recovery, comfort., strength and support for the parents, try funding via @fundition . Resteeming for hopefully more visibility. Good luck. Oh god, I pray for the baby and hope she will great cure. I will donate some liqud Steem/SBD . I also wish to see more coming to support the baby more generously. Check my latest post, here, if you want to see how I am rasing funds for the Charity pages on the Steemit platform! Hello @wews. Making a post about baby Laine here in Steemit is a good idea. I hope a lot of Steemians notice this post. Just keep writing about it. By the way, have they tried seeking financial assistance in the DSWD office and PCSO? They can get financial assitance from those offices. i hope na maka survive this baby. Hope that more local steemians will come forward and help them. Congratulations! This post has been upvoted from the communal account, @minnowsupport, by FrenkLake(franciferrer) from the Minnow Support Project. It's a witness project run by aggroed, ausbitbank, teamsteem, someguy123, neoxian, followbtcnews, and netuoso. The goal is to help Steemit grow by supporting Minnows. Please find us at the Peace, Abundance, and Liberty Network (PALnet) Discord Channel. It's a completely public and open space to all members of the Steemit community who voluntarily choose to be there. Hope the little child get well soon. is the baby your child @wews? Check out www.fundition.io and try to create a crowdfunding project on it and through @fundition, you can easily and rapidly raise funds to assist the baby. Are you on Discord? We can talk more about it on Discord. @fundition has been a game-changer for most of our projects and i strongly recommend it. Contact us if you have any questions and we are here to assist. That's my co-worker's baby.. How should I start raising funds through @fundition?